Your vision may be to stand alongside the number one man or leading lady. Don’t let anyone devalue you because you are not leading the pack. A well served man or woman is renewed and strengthened by your service. 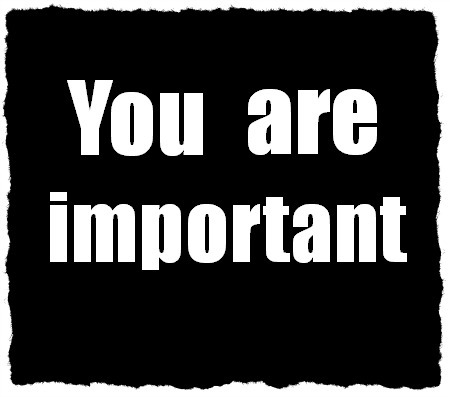 You are as important as the number one fellow. Be faithful and God will preserve you (Ps 31v23). He cannot forget or overlook your labour of love. Every part of your body is important. God assigns to each person specific assignments. Face your duties. Carry them out diligently. Don’t devalue yourself. Don’t let anyone look down on you. The way to go about that is by making sure you understand clearly your assignment. If you do, you will be able to face anyone boldly and tell them “Don’t try to misdirect or confuse me. I know where I am headed and I know the means by which I must get there!” If you don’t know or you are not sure, ask your maker (God). He is the master-planner. You are important in God’s eyes (to Him) irrespective of the assignment you are given- leading or following.